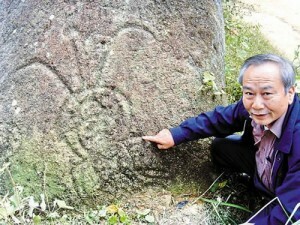 Just days after a film was released to a shocked public in China, taken from a remote control plane chasing a UFO that was clocked travelling 22,000 miles per hour, a government scientist has made an announcement that a carving showing what appears to be an ancient alien astronaut and a UFO has been found near a historical site between Guanxi and Guangdong. Morgan Freeman Universe television show Everyone loves Morgan Freeman’s voice, deep, somewhat guttural but always easy to listen to and having that charm and that kind of fatherly air that makes it suitable for expository materials. Therefore, it comes as no .